NAPERVILLE, Ill. - Sgt. Anthony Mannino is being hailed as a hero after he rescued a 1-year-old from a busy highway near Aurora, Illinois. 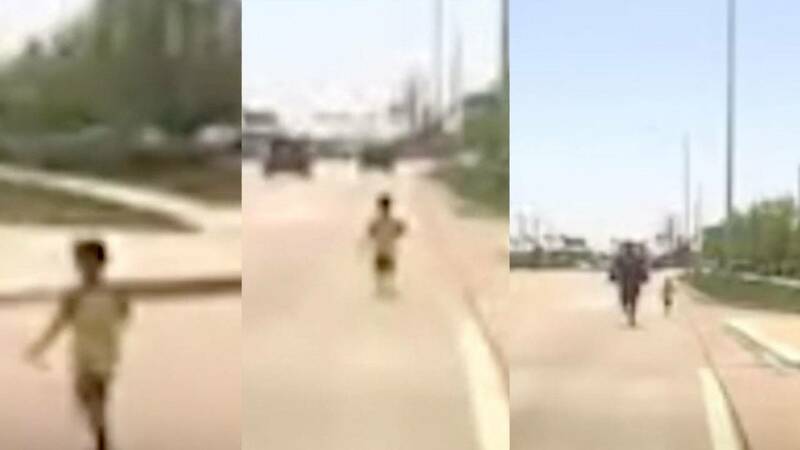 Dashcam captured the May incident and shows the officer running after the boy before pulling him to safety. The boy ran out of his house while his mother wasn’t looking, according to police. Mannino was presented with the Life Saving Award from the Naperville Police Department last Thursday for his actions.